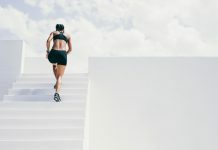 If you want to become the best runner you can be—whether it’s beating a personal record, tackling a new distance or losing the extra pounds for good—then one of the best things you can do is to cultivate the habits of successful and effective runners. As a result, today I’m going to identify some of the essential habits shared by efficient and highly motivated runners. 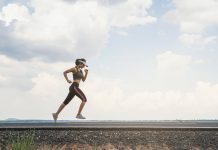 Inside of this post, I’ll elaborate on each trait, and share with you a few practical tips on how to build the habit in your running lifestyle. We lead hectic lives. We are always busy, and there is always something grabbing our attention. 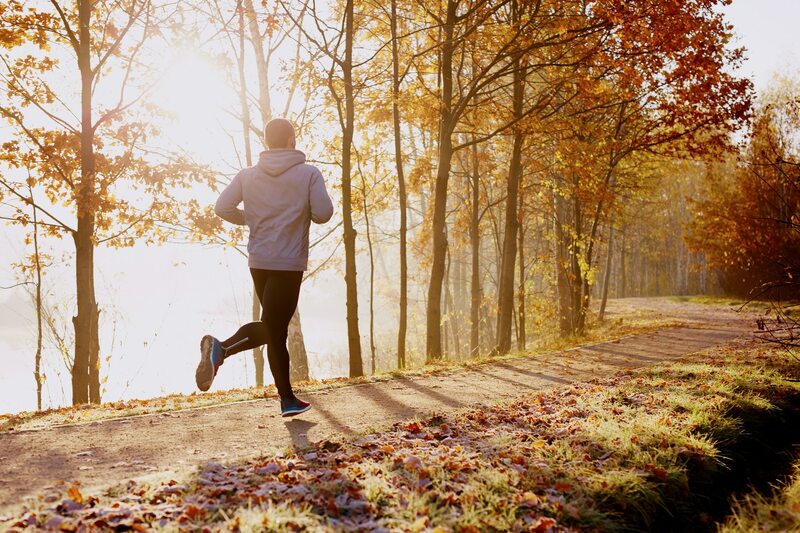 That’s why between the work meetings, social obligations, and family events, most people don’t have enough time for keeping a running routine for the long haul. However, the solution is simple: Start running in the morning. Doing this is good for you for mainly two reasons. First of all, it gets your run out of the way before LIFE gets in the way. 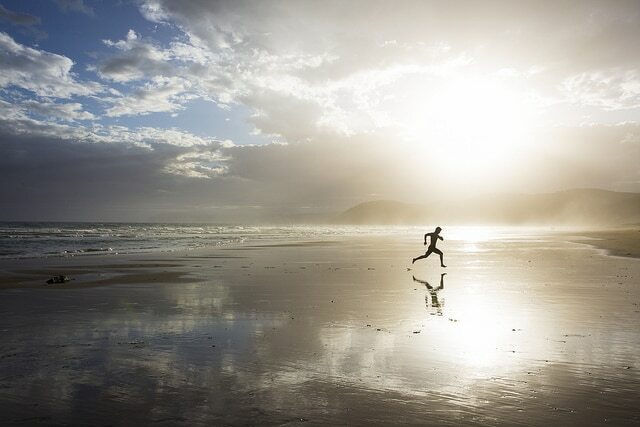 In fact, according to study, people who exercise first thing in the morning are more consistent over the long haul. Secondly, you’ll be setting a positive tone for the rest of the day, which can help you improve productivity, alertness, and energy levels. Nonetheless, there is an exception to every rule. If you are a night owl and have been a consistent (midday, evening, or night) runner, then keep up the good work. But for many of people (including me), switching to full “morning runner” mode has been a godsend. This little change in my daily schedule has helped me so much that I’d, on no account, go back to my old ways. 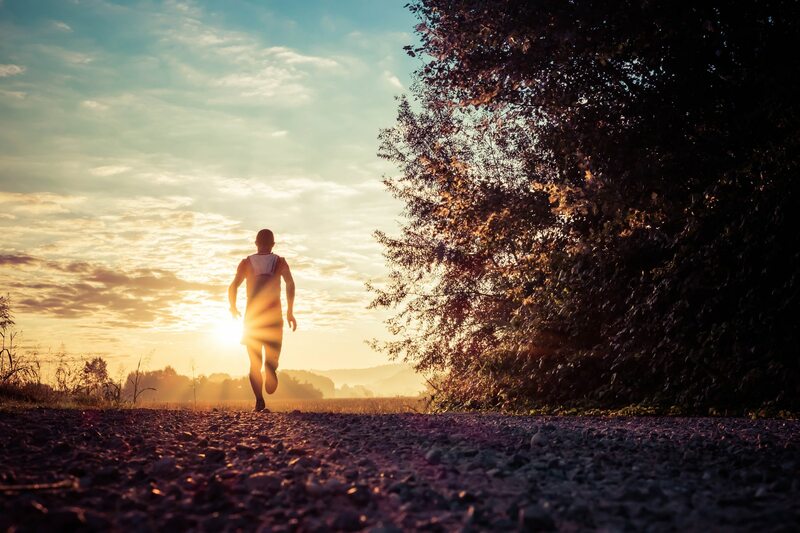 Check this post to help you become a morning runner. The importance of goal setting for runners requires no introduction. Even so, to make the most out of it, I highly recommend that you set various types of goals to keep you motivated and consistent. Also known as a “lifer,” this is your ultimate, and lifetime, running goal. Think of this type of a goal as your crown running jewel. The ultimate goal…you get it. Examples include: running a marathon, qualifying for the Boston marathon, or completing an ultra distance trail race. These are the mid-range goals that will help you build the foundation to achieving a lifer. Examples include: clocking a 20-minute in a 5K race in June or completing a local marathon in less than 3 hours and 30 minutes. These goals define the day-to-day and weekly tasks you must accomplish to reach your annual and life range targets. As a general guideline, short term goals can last between one to four weeks—depending on your training cycle. Examples of short-term goals include: doing two speedwork session per week, a long run every weekend, etc. You get the picture here. Or just make running (more) fun. During my first few years as a runner, I used to dread the first couple miles of warm-up before breaking into my pace goal. However, all of this changed when I started doing dynamic warm-up moves before my runs. Dynamic warm-ups are excellent. They cannot only help raise your core body temperature and heart rate but also prep your joints and muscles for intense work. Then slowly break into your usual running pace. Once you are done running, be sure to stretch your running muscles, including your calves, hamstrings, quads and hip flexors. Also, stretch your shoulders and chest to release any tension in the area. You might also consider foam rolling—either right after your runs or later in the day. Here are the 8 foam rolling to do. As you might already know, running can be a bit of a pain. From chafing, cramps, blisters to more serious ailments such as overuse injury and burnout, running can really take a toll on your body and mind. That’s why you’d need to cultivate this important habit of taking care of your body—especially if you are really serious about staying trouble-free for the long haul. Why is recovery so crucial? Here is a fact to chew on: you’ll not be able to reach your full running potential if you are often injured or feeling burned out. In fact, as a runner, I think you are only as good as you recover. For successful athletes, recovery is as important as the training itself. Therefore, you need to take your recovery seriously; otherwise, ignoring (or fighting) it will only set you for a plethora of trouble. Schedule recovery runs, recovery days, and recovery weeks into your training program. Never run through pain—especially in the hips, knees, shins or feet. Stay within your fitness level at all times—but stretch it gradually. Get at least 8 hours of high quality and uninterrupted sleep during the night’s time. Change your running shoes every 400 to 500 miles. Take care of your running feet. Here is a simple guide to help do that. Use compression garment while running. Cross train—preferably low impact activities, such as walking, biking, strength training and yoga. This can also be a form of “active recovery. Keep listening to your body and adjusting your training program accordingly. Another common trait I found in fruitful and happy runners is that they hit the weight room on a regular basis. The fact is, resistance training is crucial for runners. It fixes muscles imbalances (preventing injury in the process), builds power and speed, improves running economy (the sum total of oxygen you use while running), helps build and maintain proper form, all of which can make you a more efficient and well-rounded athlete. As a result, make sure to schedule at least two strength sessions a week—preferably on non-running days to get the most out of every session and see serious strength gains. If you can’t afford a gym membership (or you just don’t like it there), start at home with basic bodyweight strength-building exercises, such as push-ups, squats, pull-ups, lunges, and planks. These exercises can help you increase your total body strength and endurance in the shortest time possible. However, if you are pressed for time, then try adding some strength exercises to your post-run routine. As soon as you complete your run, for example, finish up your workout with three sets of 25-push-ups, 30 squats, 20 lunges and 90-second planks. Check my Cross-training workouts page for more routines. Maybe the one thing with the highest impact on your success, not just with running, but with everything else in your life, is the social circle you associate yourself with. In my experience, one of the best ways for staying committed to a running routine while having a blast doing it is to run with others—preferably people you enjoy having around. You are, after all, the company you keep, period. Even research has come to similar conclusions. According to a study by the Society of Behavioral Medicine, people who exercise with others are more likely to stay consistent with their training program than those who didn’t. Not only that, running with others can also help you build a support system—key ingredient in creating long-term health and fitness success. Consequently, do your best to build and extend your running family. That could be an online runners’ forum, a local training group, or simply a group of running buddies and partners. And the fact is, even if you were able to run day and night, you would never be able to outrun an unhealthy diet, period. Therefore, build and maintain life-long healthy eating habits. Of course, this is easier said than done. If truth be told, changing diets is hard. Here are the main things to practice to build healthy eating habits. What you consume before, during and after a run directly influences your performance and training enjoyment. As a result, make sure to eat something, preferably light and easily digestible, one to two hours before every workout, opting for carbohydrate-rich foods, and making sure you have enough fuel to consume throughout your run. Also, refuel immediately following a run. Here are some of the best options for that. Get this: Proper diet is about fueling you up, not filling you up. Hence, the quality of your food choices is the ultimate measuring stick. Consequently, make sure to eat plenty of vegetables, fruits, lean protein, healthy fats, and remove the junk from your plate. You know the drill. The way you eat is also a big part of the diet equation. Plan your meals throughout the week—dedicate one evening, say Saturday’s, to get it done. Set it and forget it. Remove distractions while you are eating—turn off the TV, Smartphone, stop working, and put your mind where your mouth is. Stop eating on the go. Instead, have your meals seated and, preferably, at a table. Take your time. Chew every bite and savor every morsel. Use a diet journal to keep tabs on your daily calorie intake. For more healthy eating habits for runners, check my post here. Being well hydrated is a crucial part of any workout program since, as you already know, water is vital for almost every bodily function. This is one of those things that I cannot emphasize enough. As a result, I strongly urge you to build the habit of drinking lots of water throughout the day; Not café. Not iced tea. And definitely not soda and other sugary drinks. Aim to drink at least 36 ounces of water per day—that’s the equivalent of 6 six-ounce glasses per day. Drink more if you feel like needing more. Just keep in mind that staying hydrated is crucial, but more water is not always better. In fact, drinking too much water can upset your stomach, and might even lead to low blood sodium. Instead, be smart about it, and know what much to drink and when it’s enough. To gauge your hydration levels, look at your pee. If it’s very clear throughout the day, then you are in a good place. On the other hand, if it’s all pale and yellow, then that’s a sure sign that you are not drinking enough fluids. Last but not least, I want to hear from you, guys and girls. Which of these eight habits do you think is more crucial? Which one(s) do you need to start working on? And please, do you have any habits or running practices you feel like sharing? Leave your suggestions and questions in the comment section below.